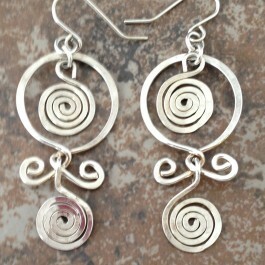 Heavy gauge sterling silver wire is formed into hoops and swirls and then hammered. Fun and light weight, these earrings will go with you from morning to night. 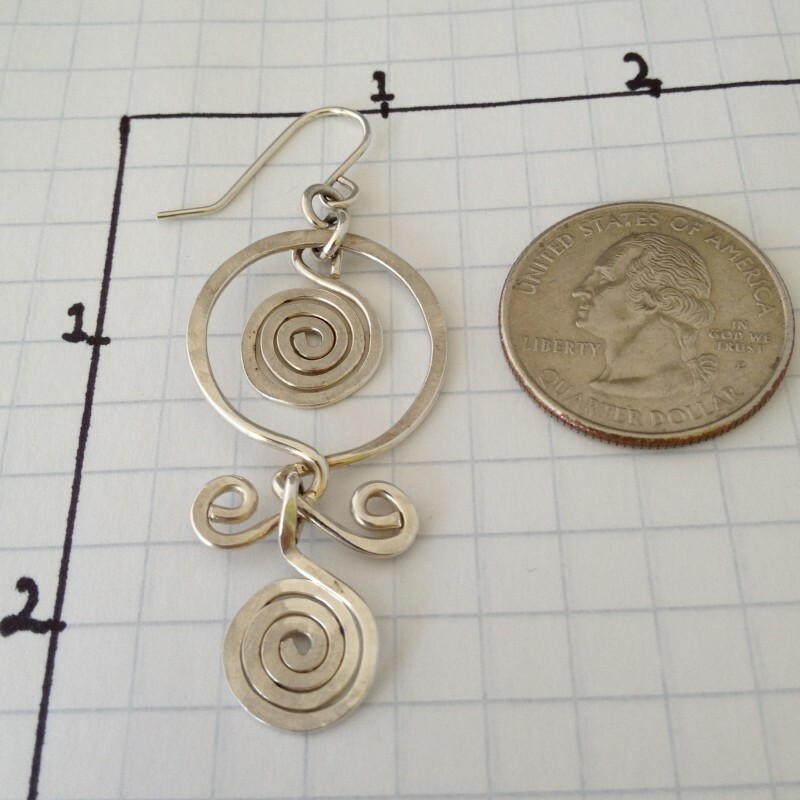 About 2 1/4" long, 7/8" wide.